Ten thousands of soldiers on both sides lost their lives during the Battle of the Bulge. Most of the fallen have found their final resting place in the war cemeteries spread across four countries, Belgium, Luxembourg, The Netherlands and Germany. These cemeteries are now also memorials to guard the memory of the victims of war. 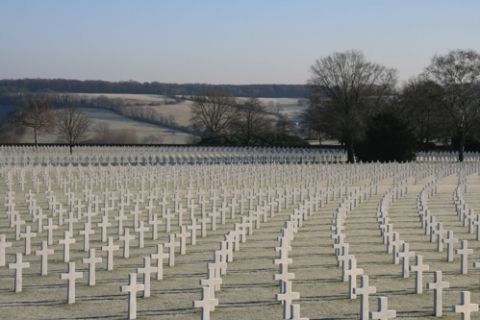 These cemeteries contain fallen from the Battle of the Bulge, but not exclusively. Although all were soldiers, it was unthinkable for Americans to be buried on German soil. Also burial in the same cemetery was out of the question. The Americans created three huges cemeteries in this region. There are also British and German cemeteries.